WhatsApp is known as the king of instant-messaging apps and why not; it has dominance over other instant messaging apps because of its quick and efficient delivery of messages. As it became popular, the privacy of the platform got affected because it can be spied upon using a WhatsApp spy APK. Yes, you heard that right. Despite strict privacy protocols, it is still possible to spy on someone's WhatsApp messages. This can be done using a WhatsApp spy APK. Before we move on to explain how this is carried out, you need to first understand what a WhatsApp spy APK is. What Does WhatsApp Spy APK Mean? Let's break WhatsApp spy APK in parts. WhatsApp spy means to spy on someone's WhatsApp messages using specially designed monitoring tools. On the other hands, APK (Android Packages Kit) is the file format which is used by Android to distribute and install the apps. It consists of elements required by an app to get correctly installed on an Android device. Usually, when you download an app from the Google Play Store, it automatically downloads and installs the APK file on your device. APK files can be downloaded from the Play Store as well as from other app stores. Why Download WhatsApp Spy APK? 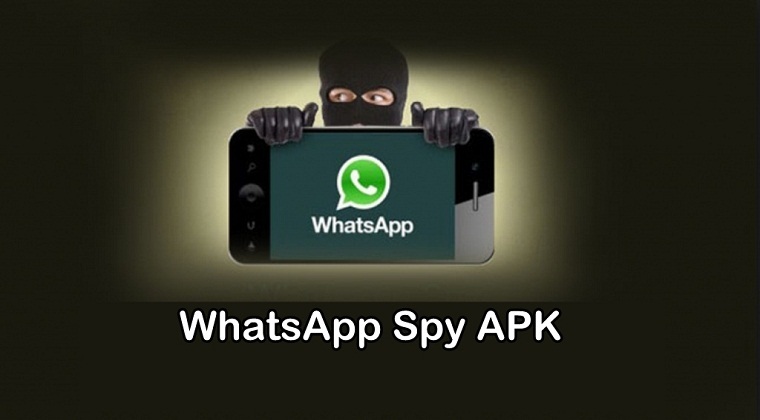 Now that you have understood the meaning of WhatsApp spy APK, let us once again explain that a WhatsApp spy APK is the piece of a spy app used to spy on WhatsApp messages sent and received on the Android device. The need for downloading a WhatsApp spy APK was realized when parents wanted to ensure their kids remain safe on the app. It is the responsibility of the parents to maintain their kid's security on social media and instant messaging apps like WhatsApp especially when kids are using the internet on their digital devices. Social media and instant messaging apps have become prevalent, making the kids get addicted to them. They spend a huge chunk of their time on these apps, interacting and exchanging messages with others. The worst part is, sometimes parents don't even know what their children are doing on the app and whom they are interacting with all the time. WhatsApp spy APK helps them track their WhatsApp messages both sent and received on their kids' Android devices, including the time and date when the messages were exchanged as well as all the details of their WhatsApp contacts. So next time when you sit down and think whether you would want to use a WhatsApp spy APK to spy on your child's WhatsApp messages, the answer should be a definite yes. Sure, there are several WhatsApp spy APK available out there but the idea is to get your hands on the most reliable and professional WhatsApp hack tool. Given the reputation, it has maintained and the feedback it has garnered over the last few years, Mobistealth is regarded as the best WhatsApp spy APK tool. This spy tool helps you spy on someone's WhatsApp messages, both sent and received, without them knowing. The target person won't be able to find out their WhatsApp messages are being spied upon by a WhatsApp spy tool. Therefore, if you'd like to spy on someone's WhatsApp chat secretly then you should opt for Mobistealth as it lets you remotely keep a track on someone's private WhatsApp conversations.